important relevant decisions of the European Court of Justice. 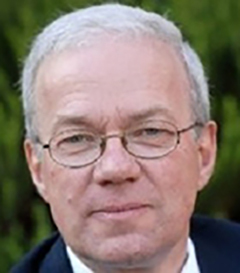 Since the first edition of this work in 1999, the pace of social policy change and innovation at the level of the European Community has increased dramatically. Indeed, developments during the past three years are little short of remarkable, with particularly important advances in relation to the promotion of information, consultation and participation for workers, along with growing concern for several much broader social policy issues. Recognition of the changes in emphasis and scale for European social policy, and the presence of substantially more material to be included, have caused this edition of the work to be divided into two volumes. 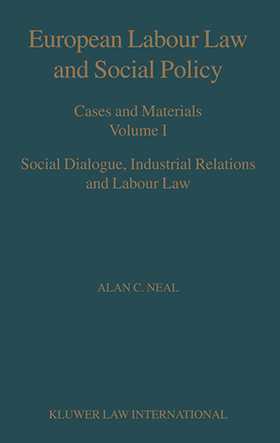 Volume I covers social dialogue, industrial relations and labour law, while Volume II is concerned with a wide range of material touching "dignity at work" in the European Community. The arrangement of the material in two self-contained volumes also reflects a division of convenience. Thus, those whose main focus is upon the "labour law" aspects of European social policy may choose to utilise primarily the material contained in the first volume, while those who wish to concentrate more particularly upon fundamental social rights, equal opportunities, anti-discrimination, and dignity at work might wish to take advantage of the framework presented in the second volume. Advocates, judges, policy-makers, scholars and students will all appreciate this essential sourcebook in EC labour law and social policy.